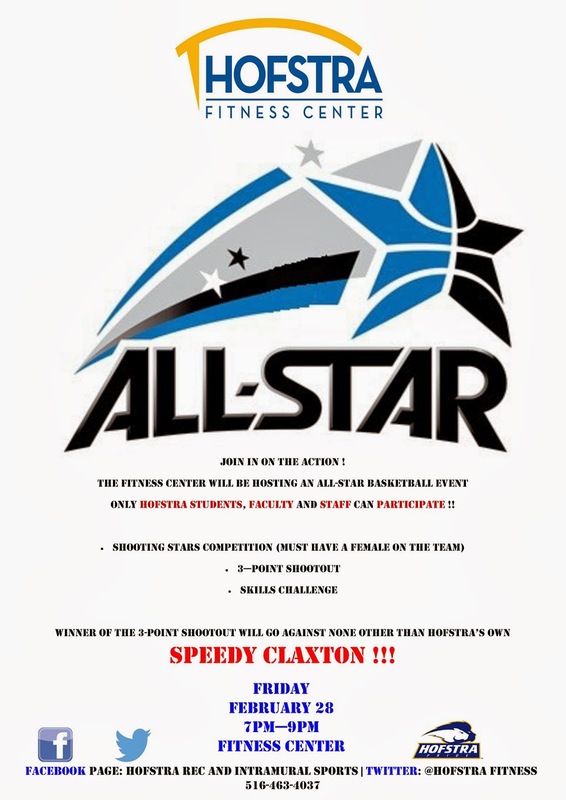 Hofstra Student Life: Fitness Center To Host The "Speedy Claxton 'All-Star Basketball' Event"
Fitness Center To Host The "Speedy Claxton 'All-Star Basketball' Event"
“Speedy Claxton 'All-Star Basketball' Event” from 7:00 p.m. - 9:00 p.m. in the Fitness Center gymnasium. In conjunction with PRIDE Week, former NBA player, Hofstra Alumni, and current Assistant Coach of Hofstra Men's Basketball, Speedy Claxton, will share his personal story and discuss how his career was inspired by many facets of integrity, ethics and leadership. In addition to Speedy Claxton's appearance, the Fitness Center will host an "All-Star Basketball" event that will feature basketball competitions and challenges for all Hofstra students, faculty, and staff to participate in. Please join us for this special night. Don't forget to bring your Hofstra ID Card. Great Content. I have appreciated with getting lot of good and reliable information with your post.......I Think It's a beautiful and amazing Best Fitness Centers & Bars. Thanks for sharing such kind of nice and wonderful information. I love reading your posts. They make me happy.